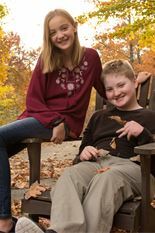 special needs and medical conditions by funding items not covered by insurance. ​Check out the Recipients page to see those we have helped so far. The United Way forms, but make sure you have The Angel Fund, Point of Rocks, MD! Copyright © 2017 The Angel Fund​. All rights reserved.